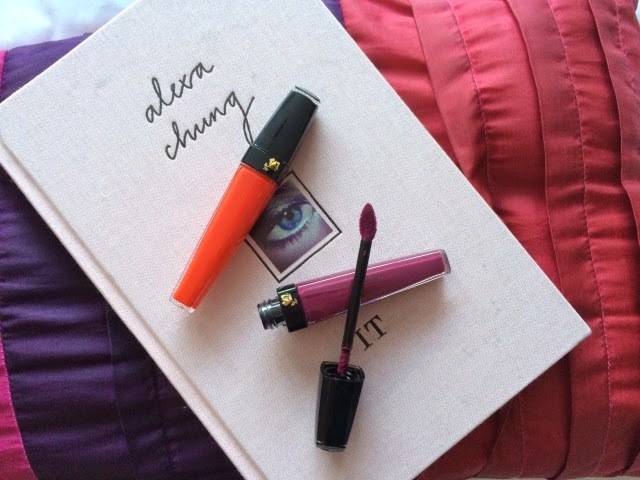 There’s nothing more satisfying than smothering your lips with a delicious new colour, and that’s why I love testing out new lip products. The two I’m crushing on right now are from the Lancôme L’Absolu Velours range. I have 172 Velours d’Etincelle and 493 Velours de Violine, which are perfect for transitioning into Autumn. They’re everything you want from a gloss, easy to apply (thanks to the doe-foot applicator), velvety, matte and highly pigmented, providing a deep and intense colour. They’re unlike any gloss I currently own, and I love that. They actually last a fairly long time too, surviving a burger and chip lunch over the weekend – and I’m a messy eater. I’m getting a lot of wear from the deep plum which gives a slightly more Gothic look thanks to my pale (read pasty) skin. These two glosses will definitely be living in my handbag this Autumn. Are you turning to darker lippy too?